« Robert Siodmak- Director of the month! Subversive Cinema at it’s best! 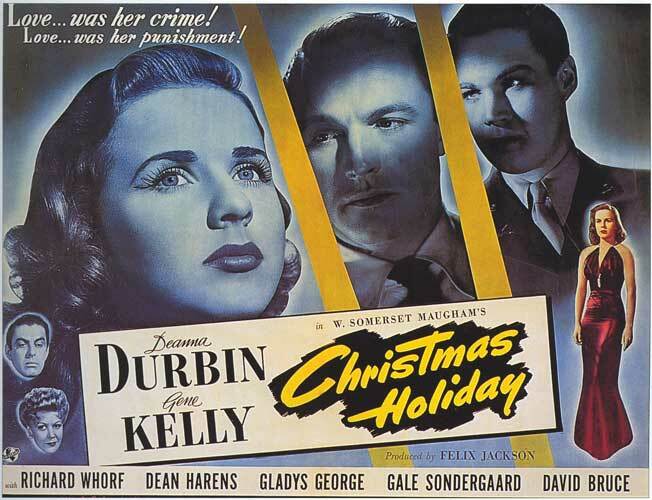 Robert Siodmak’s Christmas Holiday delivers a potent punch right in the breadbasket of Normal American Life. Wow, I wish I could go back in time to see this movie with an audience in 1943. It’s a zinger, why do I say subversive cinema you might ask? Well this movie puts all that’s sacred on it’s ear in brilliant ways. A soldier, a man in uniform is dumped by his fiancee, sent a Dear John telegram on Christmas Eve, he wants to go kill her and her new husband! 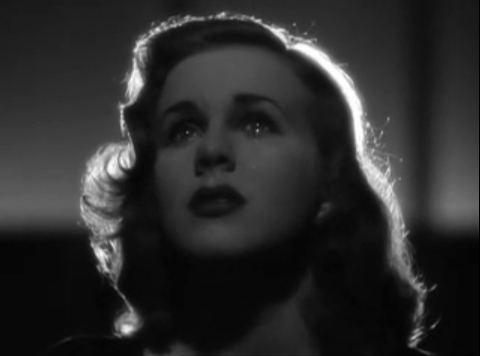 This sets the ball rolling but the movie is really Deanna Durbin’s story. She was Universal’s big child star, singing her way into our hearts as an adolescent, about as squeaky clean and wholesome as they come and here she plays a prostitute! 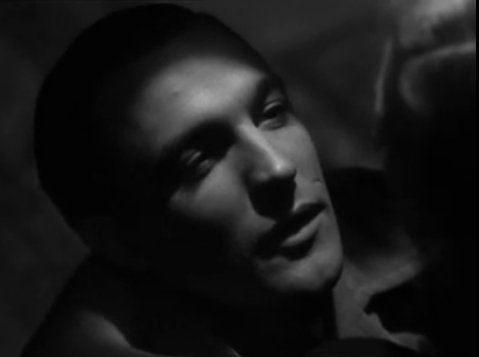 Her incestuous gambling murderer of a husband (played by Gene Kelly!) offed a homosexual bookie and was sent to prison for life. 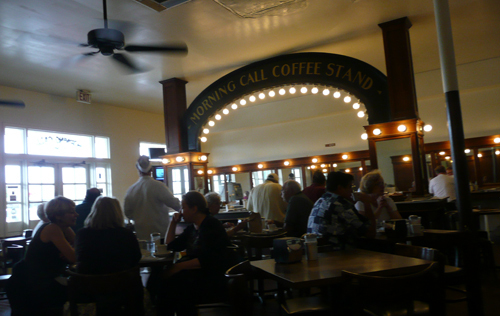 This Film is Set in New Orleans, and features a scene at the Morning Call Stand, home of the World’s Best Beignets! And guess what? You can still go there today! The movie was based on a book by Somerset Maughm and the script was written by Herman Mankiewicz! Talk about a literary pedigree. Midnight Mass in a Catholic cathedral is beautifully shot but it’s just a background for our prostitute’s breakdown. The sequence in the church is rendered more powerful by an expressive sound track. The real sounds of the Mass, recorded in a church make this scene come alive, someone coughing in a silent part of the ritual. echoing in that vast stone room, the little bells the altar boys ring during the sacraments, the brilliant cutting to an anguished Close Up of Durbin as the priest intones in Latin “Mea Culpa, mea culpa, mia maxima culpa” A powerful sequence. Music is subverted, the popular song Always, used in Pride Of The Yankees, a song about Love that lasts is used several times each time commenting on the story in a masterful way. A Sequence at a classical music concert that cuts with a muscular rhythm to a Beethoven symphony, a lot like Quentin Tarantino’s style of editing images to music. Then an amazing transition from the classical concert to a New Orleans jazz band playing at a cafe. A great cut! Wagner’s love theme from Tristan and Isolde is used beautifully. Especially at the end of the film when Durbin goes to the window and looks out, she sees some glass painted clouds parting in the night sky revealing a shining star on high, she stares at it transfixed and it reminds me powerfully of the scene in Un Chien Andalou where Luis Bunuel looks at the cloud passing in front of the moon from a balcony also acompanied by Wagner’s music. But here’s the thing about this ending, several things in fact which raise it to one of the highest echelons of Cinematic Endings, first Bunuel understood better than anyone this dramatic technique of an ending, that you can do anything , any surreal, crazy thing and get away with it because it’s the end, the film or play is over, you don’t have to explain what just happened. 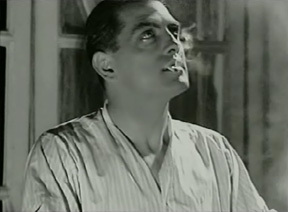 Check out Bunuel’s ending for his Diary Of A Chambermaid and you’ll see what I mean. I guess it comes from the Greek Deus Ex Machina, where the Gods could come down and do whatever they felt like to end a play, no need to explain it, the Gods did it. Siodmak understood this as well so here he is referencing a film (Un Chien Andalou) that was a call to revolution, a “gun fired randomly into a crowd”, a film that caused riots on it’s premier in Paris, at the end of a Deanna Durbin film! Incredible! Secondly, the end is fraught with psychological truth, Kelly lays dying, shot down by a handy policeman, he was just about to kill Durbin, yet she still loves him. The guy ruined her life, he murdered someone but because she loves him she stands by him, his mother blames Durbin for her son’s guilt, for killing him! And Durbin accepts the blame, she feels guilty she couldn’t change him and proceeds to punish herself by becoming a prostitute. This stuff happens every day! People are always taking on guilt for something and messing up the rest of their lives in reaction to it. Durbin still loves Kelly as he lays there dying and he says to her ” Let go Abigail” before dying. Then the soldier repeats it “He said let go”. In other words Kelly is dead, move on with your life. I knew a girl many years ago whose boyfriend committed suicide. She was always talking about him, I guess she was still in love with him. Then she met a guy and started going out with him. One day he couldn’t take it anymore and told her to get rid of her dead boyfriend’s stuff! I thought it was brutal at the time but maybe she needed that help to move on with her life. That’s the parting gift Kelly gives to Durban and the soldier hammers home. He’s dead, you have to keep on living. 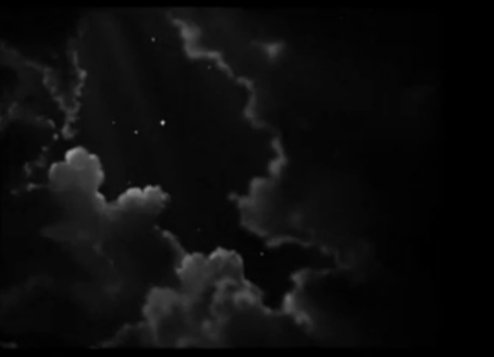 The other people seem to disappear from the room, she goes to the window almost in a trance, she parts the curtains just as beautiful artificial clouds part before an artificial sky, revealing an artificial Star twinkling on high, all accompanied by some of the most beautiful music a human being ever composed. But here thanks to Youtube you can see this masterpiece for yourself. A very sensitive and perceptive analysis of an often-misunderstood or looked-over film. Deanna would have been pleased. Thank you for the kind words, did you know Deanna Durbin? I’d love to know what she thought of this film. Astute assessment of Christmas Holiday. just gone through your blog and found it wonderful. It was nice going through it. Christmas holiday is my favourite. Thanks Hampers I’m glad you liked what you saw. 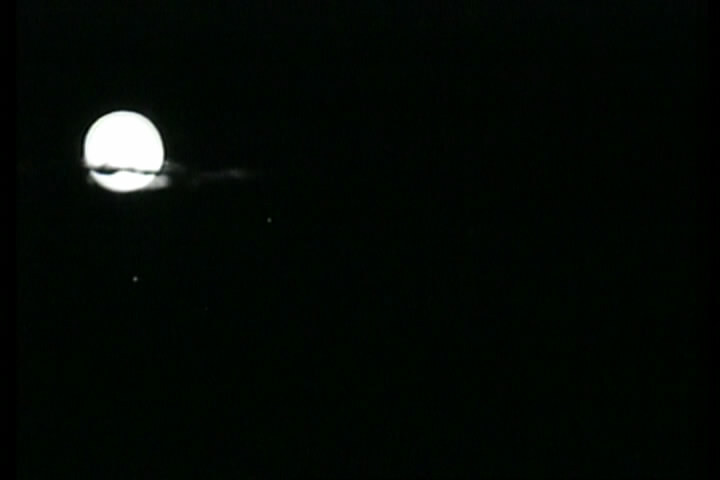 Stay tuned for a Special Siodmak posting in the next few days. Including a photo of his famous phonetic name coat. 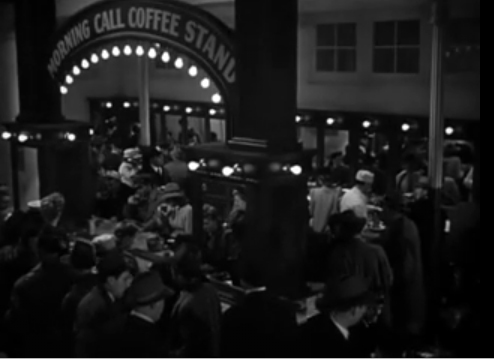 I thought that coffee stand looked familiar. Thanks for the contemporary photo of Morning Call. Regarding Durbin’s feelings towards the movie, she was hoping it would be a breakout from what she called “Little Miss Fix-It Who Bursts into Song.” As she said in the press releases, “I’m a woman now with a woman’s feelings.” But twice-divorced child star Durbin’s public wouldn’t take her as anything but a precious, spunky sprite.